Angelique Kerber's plans for the WTA Finals in Singapore have been compromised by the news she has split from coach Wim Fissette. The pair started working together last November and the 38-year-old had helped the three-time Grand Slam winner rediscover her form after falling outside of the top 30. Fissette has aided her rise back to number three in the world, with the highlight of her 2018 season being her victory at Wimbledon, defeating Serena Williams 6-3 6-3 in the final. 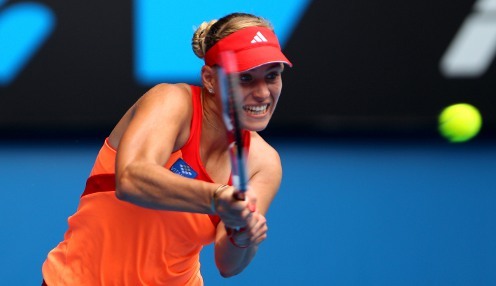 Kerber also reached the last four in Australia, as well as making the quarter-finals at the French. Just five days out from the WTA Finals, the pair have decided to end their partnership due to a disagreement over their future direction. Fissette has enjoyed plenty of success in the women's game, previously working with Kim Clijsters, Victoria Azarenka and current world number one Simona Halep. The 30-year-old will now head to Singapore without a coach and has made no indication as to when she will employ a new mentor. A statement read: "Despite the success of the cooperation since the start of the season, this step is needed because of differences of opinion as the future direction." Kerber was runner-up to Dominika Cibulkova at the 2016 Finals and is one of six players to have booked their places in Kallang, with two positions still up for grabs. French Open winner Halep leads the standings, with Kerber second and defending champion and Australian Open hero Caroline Wozniacki third. Flushing Meadows conqueror Naomi Osaka is fourth on the Race to Singapore, with Petra Kvitova and Sloane Stephens also having booked their spots. Kerber is 15/2 to win January's Australian Open, while she can be backed at 16/1 for next year's French Open.